W a k e U p ! 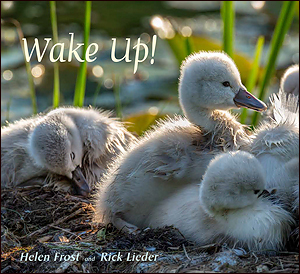 “The collaboration of poet Frost and photographer Lieder continues in this handsome volume celebrating new life emerging in the natural world. “Lieder again demonstrates that he is not only a master of catching light where it falls, but capturing intimate moments only the most patient of observers would notice.